It's like an Easter egg hunt. 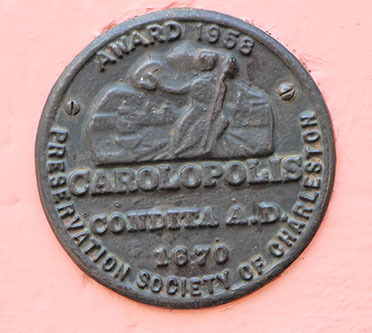 As we walk through Charleston, I like to look for the awards. Once you can recognize the plaque, they are easy to spot as your walk through the historic district.